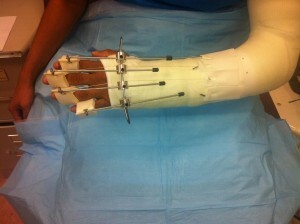 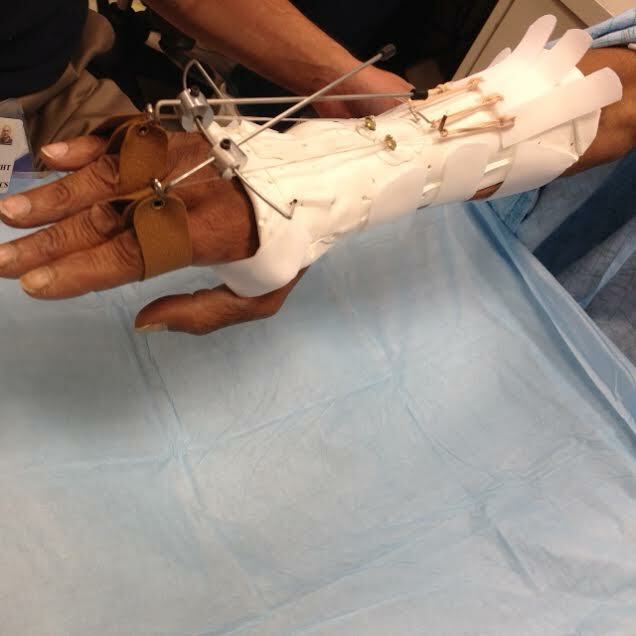 Static Progressive Extension Splint with LAC following an Zone 6 laceration and Repair with Distal Radius Fracture. 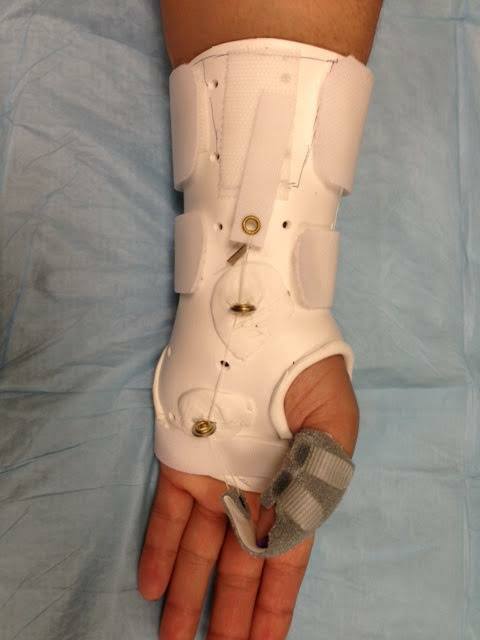 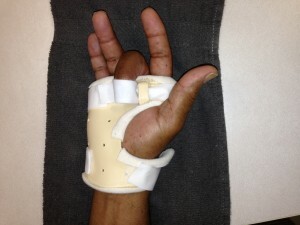 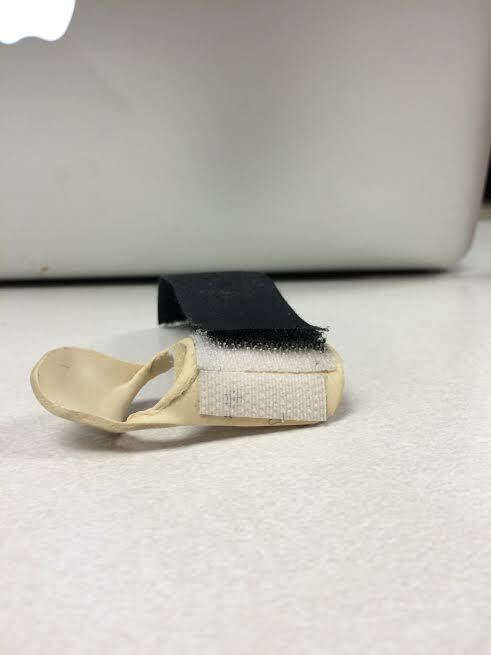 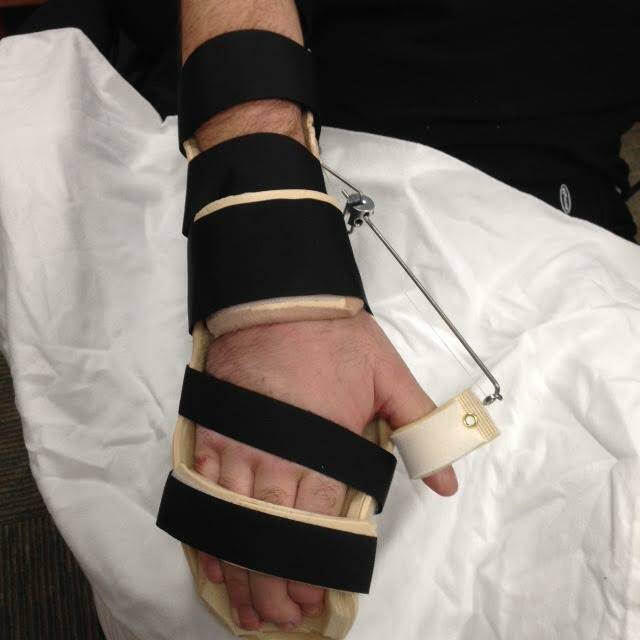 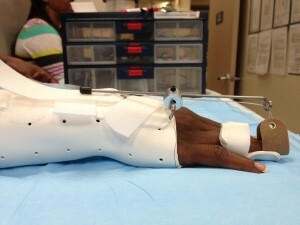 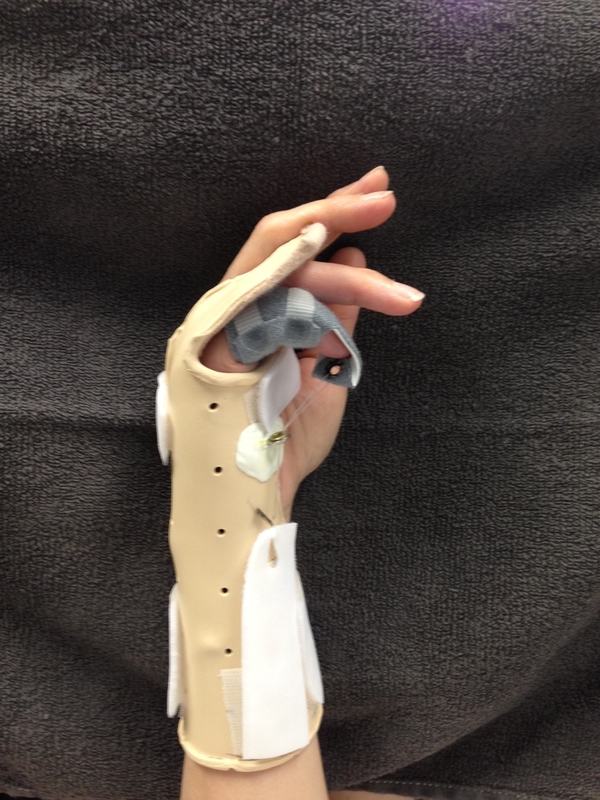 Static Progressive PIP ext splint with PIP counter pressure following an aggressive PIP contracture. 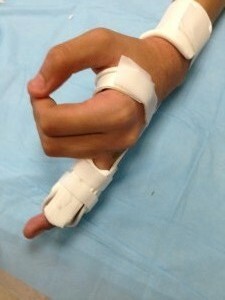 Custom figure of eight, slight hyper flex. 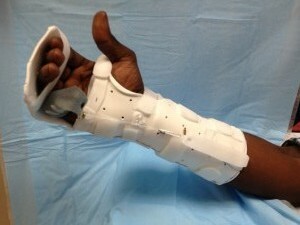 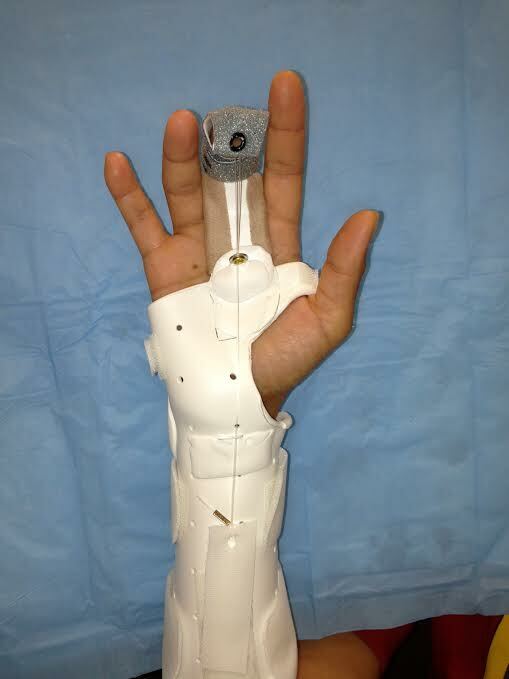 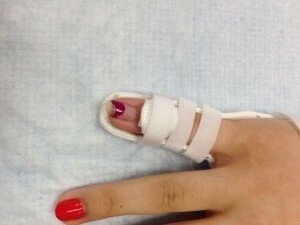 splint for mallet deformity.